Looking for more tips on how to shop in Paris like a local? Be sure to get our 2019 INSIDR Paris Shopping Guide! VAT (Value Added Tax) or in French TVA (Taxe Sur La Valeur Ajoutée) is a tax added onto all items you purchase while shopping in France and can be claimed back if you’re not actually a resident of France. This is known as a tax refund or ‘detaxe’. This article will tell you how to be eligible and what to do to help save you some money while shopping in France. If you’re over the age of 15 and from outside of the European Union then you are eligible to claim tax back on any non-commercial personal purchases. If you spend more than €175 in the same store on the same day (this could be on multiple items or one item that exceeds that price) then you are eligible to claim the amount of tax that was added onto the product which you’ll find on your receipt. The amount of tax on each item varies from around 2% to over 30% depending on what type of item it is. The tax refunds can only be claimed on retail purchases. 1. After you make a purchase which exceeds €175, make sure you ask for the Detaxe form as well as keeping the sales receipts which you’ll need when getting the refund at the airport. 2. Fill in the form and make your claim before you get to the airport in order to save time. 3. Find one of the Detaxe locations (Travelex counters) and PABLO machines (self-service) and scan it at one of the machines in order to validate your tax refund or if you’re at the Travelex counter you can do it in person. 4. If you want to have an instant cash refund you will need to get into another queue to be assessed by the customers officer and to receive payment. (It is important to have your passport, boarding ticket and purchases with you in order for this to be assessed). 5. 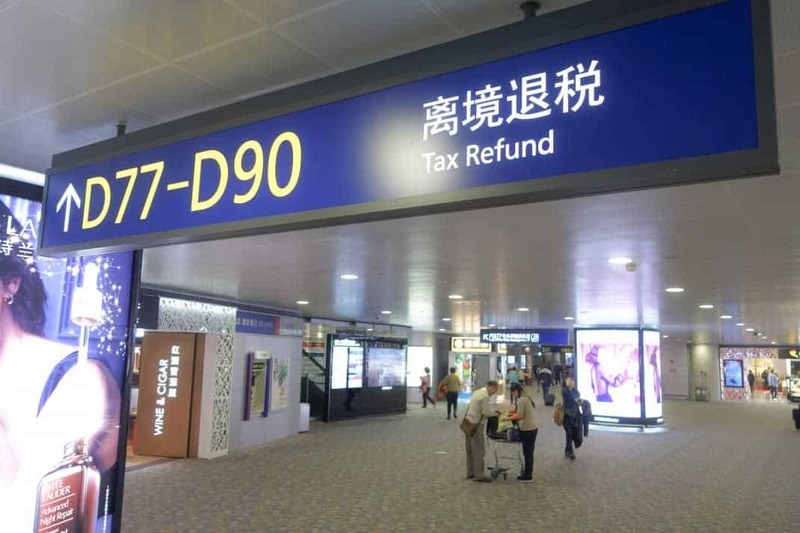 If you want to send your tax refund form off and wait for the payment, once you have it stamped / scanned, find one of the post boxes located within the airport terminals and post it. 6. Wait to receive payment! It may take a long time for it to be processed but it will be paid by cheque or direct bank transfer depending on your preferred method. If you wish to do your tax refund in-town, this iconic department store is the place to go! Upon purchases over 175.01 Euros, you can directly head to their Tax Refund Desk on Level -1 in the main store (Coupole) with the original receipts and passport and their friendly staff will take care of your refund processes. Pack your bags with your purchases at the top of your suitcase so they’re easily accessible if you need to show the customs officers your purchases! Fill out the forms in advance in order to save time at the airport! The Travelex counters often have a big queue whereas you can do it automatically and quicker at the PABLO machines!